to consistently market their business and attract ideal clients. ​ Patrick McFadden is a marketing consultant, speaker and founder of Indispensable Marketing. Many consultants and service businesses understand the importance of having a marketing plan but fail to create one. They rely on chasing leads and sending out proposals. It might work in the beginning but as the client work rolls in it becomes nearly impossible to continue doing business that way. In short, its not sustainable. What you need is a marketing plan that builds brand authority, attracts your ideal clients and turns them into paying clients. That’s the 4 step process I’ve developed over the years for professional service businesses and consultants. Over the course of 8 weeks I will pull back the curtain and show you this approach. It’s the same approach I’ve applied to multiple 6 and 7 figure consultants and professional service businesses in across the United States including my own firm Indispensable Marketing. Small group sessions meet 4 times over the course of 8 weeks for 60-90 minutes every other week. We will spend about half the time on each week’s lesson and the rest will be open to 1:1 time to answer your specific questions. During the weeks that we do not meet you will be expected to take action on the previous week’s lesson and put it into practice. In any marketing conversation (or one that you hope to be effective) it’s common to hear that you must know your target market. But within every target market is a segment of people who you are best suited to serve, who value what you do and are very profitable for your business. This group of buyers represent your ideal client. Trying to be “all things to all people” doesn’t work. In this session we’ll go to work on discovering and understanding your ideal client. Having a difference is not only a matter of strategy success, it is a matter of survival. No difference? No success. Sitting right next to your difference is the problems you solve. Nobody wants what you sell. They want their problems solved. In this session we’ll go to work on identifying your difference and the core problems you solve for clients. purchase. During this session we will build out your plan for generating ideal clients. Lack of any process approach to selling is the biggest weakness for most consultants and professional service businesses. The focus of marketing is almost always on lead generation. While leads are important, the focus with generating them takes up a significant amount of time and money. During this session we’ll map out your “selling process” to convert leads into paying clients. Four interactive sessions with Patrick McFadden – we will spend 30 minutes learning and 30 minutes discussing as a group. Complete workbook to be used to complete the weekly action plan. When complete, this will act as your blueprint for building your business. Presentation Slides containing the details for each session as well as the action steps. During the 8-week program, you will have unlimited email support and a 30 day post-program evaluation to rate your progress. I was most impressed by when Patrick called and provided consultation to that help me with my business. He made a suggestion for my business model that I immediately implemented. My existing clients love it and I was able to increase one client proposal by 400% (no joke!!). I highly recommend Patrick to anyone looking for real, sustainable growth. Some reasons why you might consider doing this consulting program . . .
1. You’re simply not getting in front of a enough highly qualified leads. Many consultants and service businesses have little trouble demonstrating the value they can bring to an engagement – the problem is that they can’t attract enough of the right kinds of leads to have profitable conversations in the first place. Solving this challenge is a major focus of this program. 2. You’re spending time writing proposal after proposal that go nowhere. If you enjoy getting results for clients but hate the proposal dance, let me show you how to create a lead generation process that attracts only highly engaged, highly committed prospects and turns them into clients. 3. You’re struggling to keep up with the work and retain the clients you have. One of the greatest challenges in running a service-based pbusiness is that one day you’re chasing work, and the next day you’re head down doing the work. This unpredictable cycle leads to mixed results for clients and a constant state of feast and famine for the consultant. In this program we will show you how to get clients started right and how to keep them happy and engaged. This course is not for everybody, here’s who we believe will get the best results. If you have any questions about whether or not this program is right for your business let’s hop on the phone and discuss your specific situation. 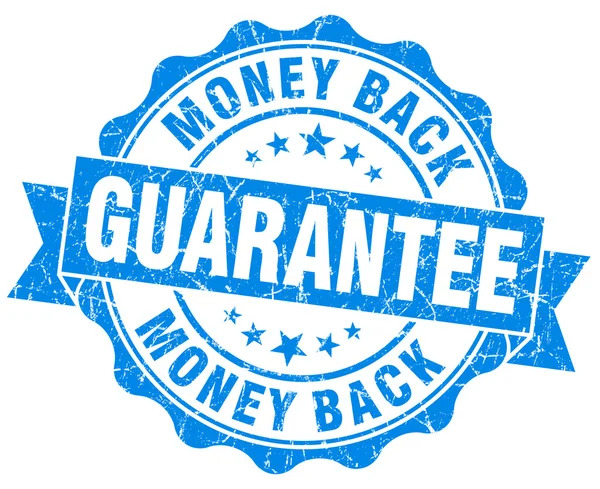 If after completing this program, or at any time during the program, you don’t feel like you are receiving the value promised and are not on your way to building a solid marketing action plan for your practice, just send us a message and we’ll refund your money, no questions asked.